Star Wars: Episode VII - The Force Awakens spent a majority of its marketing campaign on familiarizing moviegoers with the new generation of heroes and villains that would carry the sequel trilogy moving forward, but not all of them got equal time in the limelight. In the months leading up to the film's release, fans heard plenty from Supreme Leader Snoke (Andy Serkis) and Maz Kanata (Lupita Nyong'o) in various TV spots and trailers while the looks of the motion-capture characters were largely kept under wraps. Lucasfilm chose not to release footage of either one, though Maz was featured on the theatrical poster. Now that the film has been out for a few weeks and continues to shatter box office records, the studio feels more comfortable sharing elements they had in the vault for so long. For the first time, official images of Snoke and Maz have made their way online. Until now, the only looks fans had of the actors were shots of them dressed in their mo-cap outfits on set, without any indication as to what the characters would be in the final film. Those who have seen the alleged leaked Snoke concept art will notice that there is a discernible difference between that serpent-like design and what was shown on-screen. Serkis had previously mentioned that director J.J. Abrams was still trying to figure out the look of the character during production, so it's reasonable to think several iterations were created. As for Maz, the official image of her gives fans a better look when compared to what was featured on the poster, so there are no real surprises there. Some have called her a Star Wars version of the eccentric Edna Mode from The Incredibles, and there is a slight resemblance when one looks for it. Snoke was one of the few aspects of The Force Awakens to receive some criticism, as some moviegoers felt the character looked "too CG" and could have been done via practical makeup effects. 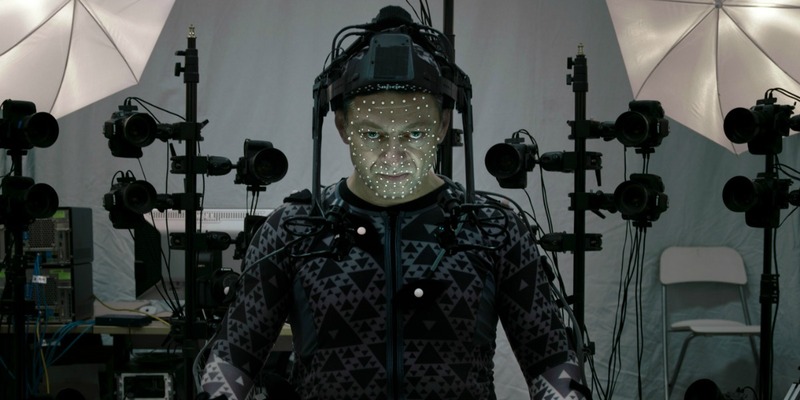 Serkis claimed that Snoke's scars and disfigurements made motion-capture a necessity, so it's difficult to say for sure which method would have been best. It's important to note that Snoke only appears in Star Wars 7 via hologram (he is not a 25 foot giant), which could have something to do with his digitized look for the film. As the sequel trilogy progresses, fans will probably get to see Snoke in the flesh and get a better idea of the character's design. It will be interesting to see if Maz Kanata has a role to play in a future Star Wars film. Whereas Snoke is clearly being portrayed as the puppet master a la Emperor Palpatine, Maz seemed to serve a very specific purpose for the Force Awakens story. Once the action leaves Takodana, she isn't seen again and nobody mentions her name. Lucasfilm has yet to announce the complete cast list for Episode VIII, but for now Maz seems unlikely to return.